I love this time of year! The snow is melting and everything is fresh and new. It’s time to get rid of the stink of winter and get our homes in order. Who is else is ready for some decluttering? Let’s get organized and get our homes looking and feeling more spacious and welcoming. 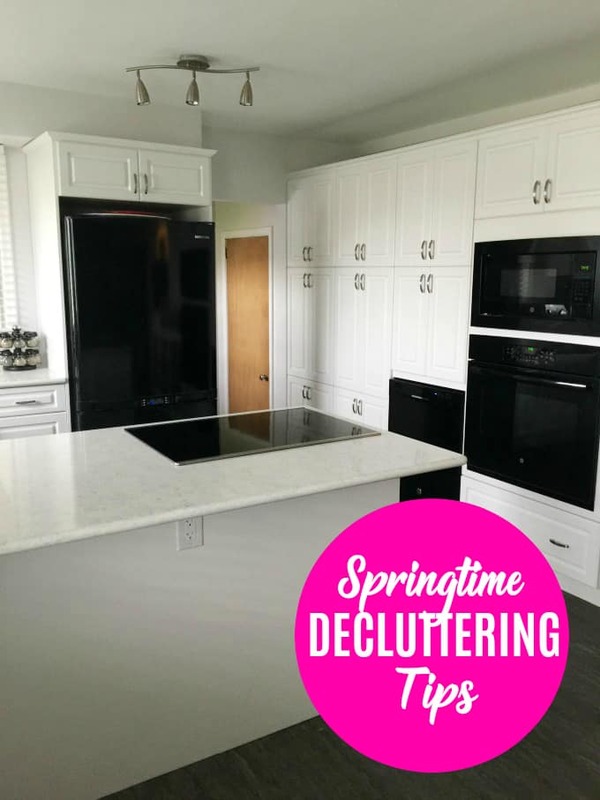 I’ve been following these simple springtime decluttering tips for a number of years and I hope they help you, too! 1. Make the time. I know you’re busy, but you need to prioritize decluttering or it will never get done. Carve out as much time as you can each day to devote to the tasks. I’d recommend at least 15 minutes and up to one hour. 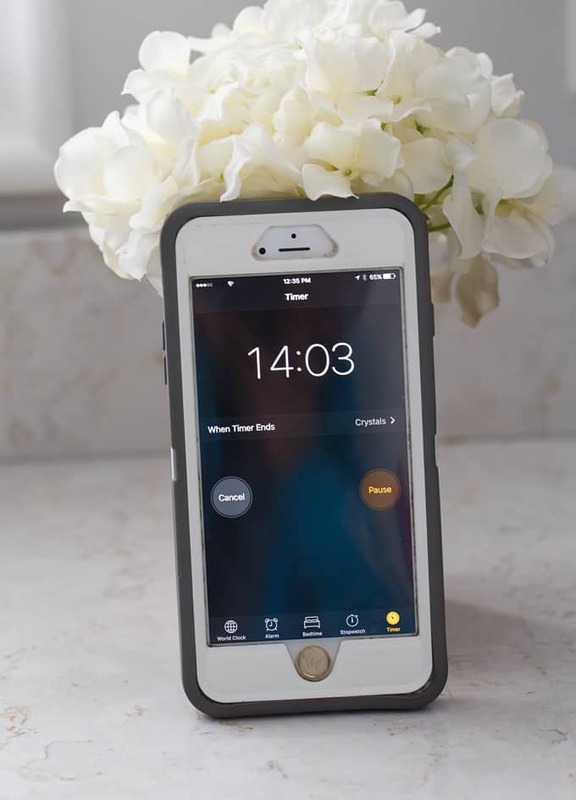 Set a timer on your smartphone and don’t stop working until it goes off. 2. Create “stations”. That’s a fancy word for labelling different cardboard boxes as “Keep”, “Donate” and “Trash”. Each item must go into one of these boxes. Be choosey. Make sure you don’t put everything into “Keep” or you’ll never see progress. 3. Clear the closets. If you’re like me, your closet is a disaster zone packed full of clothes you haven’t worn in years. One simple tip I learned was to turn all your hangers into reverse. Whatever hanger isn’t turned back in 6 months, get rid of it. It means you aren’t wearing these clothing items so why keep them? 4. Track your progress. I use my smartphone to create to-do lists of tasks that need to be completed. I check them off as I do them. It’s satisfying to see your list dwindle down and using a smartphone makes sense because it’s always with me. 5. Designate a starting point. This will be your clutter free zone and one you need to protect to make sure it stays that way. Gradually, you’ll expand this zone until it includes your entire home. 6. Begin with the counters. When I’m cleaning and organized, I always begin by clearing the counters. Find homes for everything! File (or recycle) loose papers, put away unused appliances and make it as clean and clear as you possibly can. 7. Visualize what you want the room to look like. If you can picture it in your head what a clean and organized room will look like, it will make it easier for your vision to become reality. If you need a little help, grab your mobile phone and search online for ideas. 8. Get the family involved. A one-person show is fine, but your job will be so much easier is if you get the family involved in the process. It teaches your kids the art of decluttering and hopefully, your home will stay neat and organized if everyone pitched in to help. For supplies, you’ll need lots of garbage bags and boxes. I also recommend keeping your smartphone handy because you can use it throughout the process to stay on track. If you need a new mobile phone, I highly recommend checking out The Mobile Shop. They have a fantastic selection of phones and plans from a variety of carriers across Canada. I love them because I can quickly pop in to shop while I’m out doing my groceries. You can find their stores conveniently located at select grocery stores. And yes, you can even earn PC Optimum points! I’d love to hear if you have any springtime decluttering tips! These are all great tips. I find it difficult to declutter at times, so I’m definitely bookmarking this. I know this is all about spring cleaning but your kitchen looks perfect as is. I like all these ideas and just starting and getting the whole family to pitch in really helps. Love these suggestions! I track my progress using Wunderlist app on my phone! It really helps keep me on track and get stuff done. I love spring cleaning, but it can feel SO overwhelming! I love the stations idea! These are great tips for decluttering. I really need to start my spring cleaning. We’re probably going to have to get started on this soon. Great advice. We’d definitely benefit from having a clear starting point for decluttering. These are such great decluttering tips! I am desperate to clean out our house and all of my kids old toys! I have been on a decluttering binge lately! Next up is my kids’ room!!! Love these suggestions! I track my progress using I like tackling small projects at a time! It really helps keep me on track and get stuff done. Love these suggestions! I I like tackling small projects at a time! It really helps keep me on track and get projects done! Great tips! I love setting a timer and getting as much done as I can. It seems to help when I’m so busy with the kids and other chores. These are really awesome tips! I need every tip I can get about decluttering! I love the idea of keeping track of what you have done on your smart phone. It sounds like a great way to stay motivated and keep moving forward with decluttering.